The after action report has probably been around in one form or another since the beginning of video games. Though telling you friend how you schooled a rival in Pong is not exactly an AAR, the need to share our gaming experiences goes back pretty far in gaming history. AAR’s don’t really work, of course, for games where the core experience is always the same. Writing an AAR or live blog of an RPG or shooter with a rail thin plot or whose branches and choices will be the same no matter who goes down them is a pretty ridiculous endeavor. As much as I love Divinity 2 or Mass Effect 2, walking you through what happened to me is a silly idea since if you play you will almost certainly experience the game in the same way. You may have different feelings about Mordin bursting into song, but he will – me pointing this out in a the course of describing what happened to me as I played the game doesn’t make a lot of sense. Plus, there is always the risk of spoilers. AARs work best with non-linear games (some RPGs, sandbox games, sports games, etc.) and have acquired a special place within the strategy genre. There are at least three different approaches to the strategy AAR. Explanation: The explanatory AAR serves as a supplemental tutorial or walkthrough. It goes through game mechanics, discusses decisions made in some detail with reference to the rules, and is often written with an eye to the future – the author(s) already know more about the game outcome than they are letting on and are able to highlight decisions that made the world turn out the way it did by the end. The board game AARs I wrote with Bruce Geryk tried to take this route, explaining beyond the rules as we played; there was no real need to go into a lot of detail, but it was important to talk about strategies and plans and why we would take a specific action at a specific time. The ongoing wargame focused Battle of the Blogs between Ian Bowes and Fog of War Games is a great new example. Entertainment: This is a broad term, but what I mean in particular is that the AAR is written in the voice of the author(s) with no real purpose beyond amusing the reader. There is an assumption that the reader knows enough about the game to make sense of what is happening, and if not broad outlines will be drawn. Tom vs Bruce (now reborn as Tom vs Kelly) is the gold standard here. The only thing these guys want is to keep you amused; if you learn anything about the game, fine. But that’s incidental. Role Playing: This sort of thing is popular on the Paradox forum. 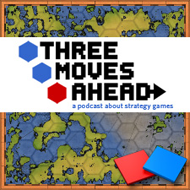 The author(s) assume a character and try to play out a strategy game as the character would. Sometimes this means limiting goals that are achievable in game because they are historically implausible. Sometimes this can include suggestions from readers about what should happen next. Though these also seek to entertain readers, the main purpose it seems is to create a faux history and exercise those fiction muscles that almost everyone thinks they have. I don’t write many AARs and never have. This is probably rooted in the same reason that I don’t take good screenshots. I get very wrapped up in what I am doing when I play and don’t always pay attention to the very important notes I should be taking. I assumed Bruce’s role in one Tom vs Bruce before the magazine went kablooey and I had to work hard to explicitly note turn numbers, what I was doing and why. For the last year I’ve been banging around the idea of a collaborative AAR with a colleague that would focus more on the personal experience of play and less on the “and then this happened” that characterizes most AARs. Life and distractions and work we knew we had to do got in the way, though I haven’t really given up on the idea. I don’t read many AARs, of course. Too many go down the fiction role-playing path and though some are excellent as that, I am far too literal minded in my games writing to see them as AARs. I am really enjoying the Battle of the Blogs linked above, though. It’s something you should all follow and support if you like wargames. If you have personal favorites or examples of your own work, please link in the comments. Thanks for the shout out, Troy. Its interesting to see you pull apart the types of AAR out there, I’d never really thought about the different flavours available. I’m not really a seasoned wargamer, more a budding amateur coming at the genre from a general gamer’s perspective. What I wanted to get over with the AAR’s I’ve written, is the thought processes involved in the decision making. I specifically wanted it to be from a newcomers perspective, so I don’t know everything about the games I document. In fact I actively encourage participation from folks more “in the know” so that the readers can all benefit from the learning process. I’d like to think my AAR’s could entice other more general gamers to take a look inside the realm of wargaming, because theres a lot to like in these historical adventures. I hope I can open the door a little, like a wargaming everyman, and show folks that although it seems complicated and impenetrable, a lightweight like myself can have a go, and enjoy the experience. Troy, Have you looked at the other forum based AARs? I know you mentioned Paradox forums, but Something Awful has a whole Let’s Play forum that has tons of AARs for game both strategy and not. Some of them are pretty good. The AAR indeed existed long before video games, as a prominent addition to the early days of tabletop wargaming, like the old Avalon Hill games. It’s origin is in the actual military, where AARs were given after each ‘wargame’, or military exercise. I wrote many AARs during my Army tour of duty, but, sadly, have yet to write one in my video gaming career. Something Awful has an excellent bunch of AARs and some really good writers. Hard to pick a favorite thread there. It’s not a wargame, but SA’s Dwarf Fortress replay “Boatmurdered” is somewhat infamous. Steve Walmsley’s Rigellian Diary for Starfire was epic in scope. Unfortunately, it seems to have disappeared off the face of the internet. Spend some time at lparchive.org, it’s hard not to sink into it. House Hohenzollern from Crusader Kings to EU3 to Victoria to HOI2. Nice article! AAR’s are great tutorials. They helped me with plenty of Paradox games. AAR’s also can create interest in a game. I know that just reading AAR’s has caused me to make a purchase or two. I really think the game publishers are missing out on utilizing the power of the AAR. It’s free advertising for them especially if the game (and AAR!) is good. I really wish publishers/developers would take more time to incorporate more AAR tools into their games. We’re usually lucky if the ability to take screenshots is provided. But wouldn’t it be nice if you hit ‘Alt-N’ and take notes to go along with that screen shot? Some games do provided history logs that are generated from the game but even those could be greatly improved on in terms of creating AARs. Sorry if this was a bit long winded. As the creator of AAR Central I’m a bit biased. It was my first game versus humans, and so my understanding of the mechanics was somewhat weak and I made some terrible strategic decisions. But the game itself was tense and interesting and I enjoyed doing the write-up. My view of AARs is skewed a bit by (1) the military, which invented the AAR, and (2) the old house organ for Avalon Hill, The General. Those influences make me think that the best use of an AAR is a learning tool, for either how the game works, or how to play the game well. While I enjoy the occasional AAR for the entertainment value, if it’s written well, that represents the very tiny number of exceptions that define the much bigger rule. By the way, I count the “AAR as marketing vehicle” in the learning category. It’s a surrogate version of See/Try/Buy. The day I discovered lparchive was the day that my productivity dropped to zero. It has not recovered much since. Also, Sam has ruined my life. I can do nothing until I complete the CK/Vicky/EU3/HOI2 AAR that he linked to. Well, I guess it falls to me to offer the shoutout to http://battlereports.com/ and their Starcraft 1 content. Casts have pretty much replaced written SC reports now, sadly. Most of the strategy game AARs that I’ve enjoyed are those that clearly state their strategic reasoning and illustrate some interesting tactical necessities and do it all economically. I don’t care much for overly elaborate first move screenshots: too many AARs are really only a couple of turns long as the author(s) enthusiasm wanes. I’ve often thought “Wow, you’ve spent so much time describing your empire’s setup, it’s no wonder you just stop at Turn 3.” I wouldn’t mind a more telegraphic style in return for an AAR that focuses on the big picture and gets deeper into the game. But I’m flexible on AARs; some of the more fun ones involving GalCiv2, Dwarf Fortress, Squad Battles have involved more than a little humor and manage to convey some of what one could expect to encounter in the game. Written in the same air as Tom Vs. Bruce, but to a much larger, detailed and entertaining value, Rock Paper Shotgun’s Gameboys from Hell (http://www.rockpapershotgun.com/2010/01/25/the-complete-gameboys-from-hell/) is an epic AAR, and one that got me glued to my seat reading through it in its entirety (and there’s a lot there to read). I will probably measure any future AAR I read against the opus they ended up with. It’s also a great testimony to what an amazing achievement Solium Infernum is. I dont mind being ignored…but CMON NOW!